Really? always thought Walls ice cream was British. 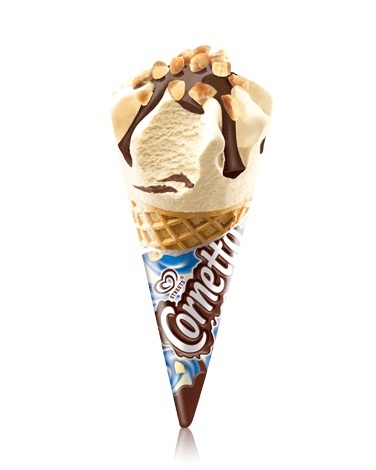 The original Streets Cornetto. Walls may make it under license. PADDLE Pops, Golden Gaytimes, Magnums and Cornettos all Streets inventions. sorry about this tex. Love blowing my country's trumpet. This is totally Aussie made and owned. Do you get them in UK? Actually I prefer these over the Cornetto. Love their other varieties. Rather should say loved.. as with my sugar free diet.. these are a mere luxury now. Last edited by Donald the Great; 16-01-2019 at 02:51. Oi, leave my acne out of this! Who was the first presenter of Top Gear? I remember William Woolard and his co-presenters when I would watch Top Gear and it was genuinely about cars and driving issues, rather than Jeremy Clarkson and his mates messing about. My son was a total devotee of Top Gear with Clarkson. It was okay when Clarkson was a presenter back in the days when Top Gear had reports on driving issues and reviews of real cars that ordinary people could buy, but it just became a vehicle (no pun intended) for Clarkson to mess about.